Location Царевец - Велико Търново | Imprint.BG - the only producer and operator of the popular souvenir machines for Bulgaria. The machine is place to the left of the entrance of patriarchate. 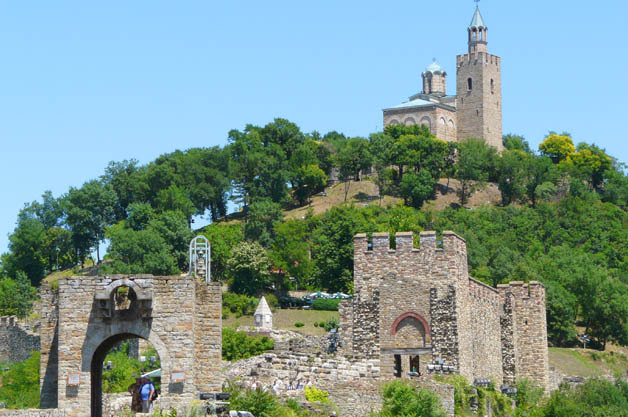 Architectural and Museum Reserve Tsarevets is one of the most frequented tourist sites in Bulgaria. It is located on Tsarevets Hill in the old part of the town of Veliko Tarnovo. Today Architecture and Museum Reserve Tsarevets is a unique way to get to know Bulgaria’s past. Access to all sites is facilitated by the infrastructure, reconstructed to a style authentic for the period. Information plates provide additional information about the function and history of the sites. Visitors may climb to the top of the bell tower, which affords a panoramic view of the town.